northern Lebanon but have not as yet been firmly identified as being of this species. share the charateristic sepals with green spotted centres and shiny green leaves. 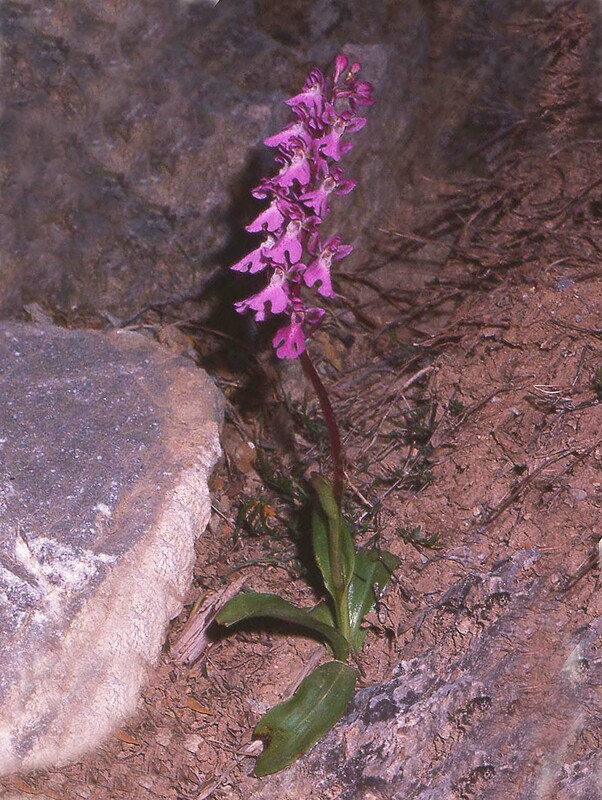 O. prisca is unlikely to be confused with other Cretan species although darker forms of O. sitiaca could sometimes create a doubt. It would be unusual however that they would share similar habiat as O. sitiaca prefers full sun situations. Gorge which was then one of its strongholds. It's understood that due to the increase in tourists visiting this area, the site no longer supports a sizable population.